Do you want to seriously accelerate your playing? I mean not for 2 weeks or until the weather gets really nice. But, this time more seriously. Do you want to finally dig deep into what you know is true - that you can be a better, quicker and more creative guitarist than you are today? Read on. Recently the folks at Skype told me that if there was one guitarist out there that could get metalheads playing together in the internet world, it would be me. I did not think much of it as first, except being thankful for the complement, but then the gears in my mind started to turn. What if they are right, indeed? Then, I started remembering that one of the main gripes from many guitarists that I meet is that they are not in contact with many other players who just get “it” and are into the same type of music and playing they are into. They kind of feel alone in their quest to play better and don’t have enough feedback. This explains why my Metal Heroes Summer Camp and The Metal Guitar Retreat are popular destination getaways. Not only the players get awesome personalized instruction there, they are indeed connected with others just like them when they attend these events. And, let’s face it, guitar playing can be extremely rewarding, but sometimes lonely place and not as fun if you have to go at it alone. With that in mind, I had something up my sleeve last few weeks. 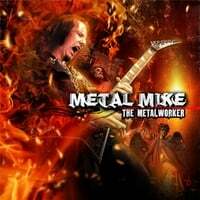 I’d like to announce and introduce you to Metal Mike’s Metal For Life Online Guitar Program. This group is like none other before it. You get my exclusive guitar instructional videos on Tuesday and Thursday and a Metal Monday motivation message that kicks off every week. Our club meets via a private Facebook group hosted by me for only $19.95 per month! I'm there right along with you answering YOUR questions and giving tips and advice. This program is on-going, so you can join today and start right away. Once you register, you’ll be billed automatically each month. And, you are free to cancel any time with no questions asked. Guitar playing is a funny thing. I should know as I dedicated 32 years of my life to it so far. Hundreds of thousands of players (sound crazy, but it’s true) saw my online videos and they e-mail me saying “Metal Mike, your video really helped me with a technique or with writing riffs,” or, “What do you use to get that guitar tone?” I love getting these e-mails and I reply to everyone. But, I also know that jumping around the internet looking at a video here and a video there with no rhyme or reason robs these players of true results. Or, if the results come, it is through a very slow process. The jumping around strategy is too scatterbrained. In order to truly get better fast, you benefit greatly from a succession of videos geared towards a goal and a commentary on what you might be doing wrong. When you pair that up with a support network of players just like you, well then, you can start seeing that this can bring your playing up to a whole another level. When you get a destination place to visit time and time again for valuable information over a period of time - results come. I have created an Effective and Inexpensive way to help you obtain your guitar goals. You can join me at $19.95 per month! (1) 2 videos each week (Tuesday and Thursday) on one topic. (2) Metal Monday Motivation post on Monday. (3) Membership in a private Facebook group. (4) Access to me with personal interaction answering your questions, e-mails and overseeing your progress. (5) Support from players just like you who love to play metal guitar and want other encouraging people around them. Guitar videos and topics will include a variety of topics from technique to fortifying riffs to leads to practice tips. We’ll talk about guitar tone all the way to guitar travel tips. I even talk about ideas of creating good practice habits and other things I believe are essential to a real command of the guitar. And, Monday Metal Motivation will hit you each Monday afternoon with a nice dose of mindset shred to keep your week going. Note: Each video will come with TAB (Tablature) sheet that you can save and print out later. I understand that many players need time to learn licks and each example will be shown slowly and explained well. You bet I wish I had this when I was growing up! I learned the old fashioned way of getting mail-order guitar tapes and trying to learn licks from MTV videos. But, here is 2017, we have a new way of learning the guitar. And, we are doing this for $5 bucks per week. “One quick lesson with Mike has doubled my picking speed” – Ben S.
“You are a great inspiration and a source of knowledge” – Sebastian S.
“Having Metal Mike as a mentor has enhanced my playing ability drastically! He was able to point out my errors immediately and teach me techniques like no other guitarist I have ever met” – Tony G.
“Mike helped me unlock my playing potential to a whole new level by showing me awesome licks, riffs and usable theory. There is no substitute for seeking face-to-face instruction from a world class player who has recorded and toured the globe with the all time greats” – Alex H.
“Thank you for the lesson. Already writing riffs that are inspiring me again” – Chris W.
“Mike’s instruction is a perfect blend of classic training and real world experience” – Charles A. “I will happily take another 100+ lessons without any thought whatsoever” – Matt B. “I’m fortunate to be getting first hand information from the ultimate guitar wizard” – Rob D.
“I feel like I have learned more in the past 4 lessons that the last 2 years on my own” – Greg D.
This is an ongoing program, so you can sign up today and jump right in. You can go back and check out any materials we might have covered before you joined as well for free. Purchase the first month here and we’ll set you up for a recurring monthly billing of $19.95. Once you register, you’ll receive a welcome e-mail with further instructions. If you have a question about the program? Happy to help. CONTACT US! We'll be happy to answer any questions you might have. Remember that you can cancel anytime free and clear with no questions asked. Want to invite a friend to start? Buy him/her a gift of a subscription for one month! We'll e-mail you a confirmation as well as a Certificate to give to your lucky friend.